Want to buy a Hyundai Kona? Be sure to check the huge amount of automotive assets that are available online for free at the Autobytel site. 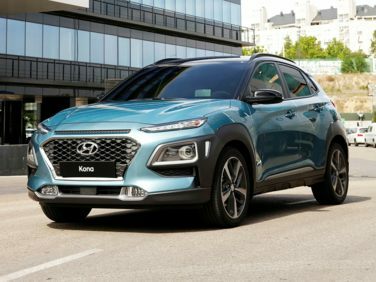 Research current and past-productions Hyundai Kona vehicles. See specifications like power figures, fuel economy, and safety ratings. Look-up the MSRP of all Hyundai Kona vehicles. Autobytel was the first company to publish these figures. If you are looking to buy a Hyundai Kona then first read consumer reviews and analysis from professional automotive journalists. Browse hundreds of brand new or preowned Hyundai Kona automobiles. You can do this all online from the comfort of your own home at the Autobytel site. Narrow down automobiles for sale in your area using your zip code. The vast majority of automobile shoppers start their quest on the internet. Discover all there is to know about Hyundai Kona vehicles. An authoritative site like Autobytel contains lots of info. There is tons of info on all recent major automobiles sold in the U.S. Get an intelligent synopsis of the Hyundai Kona. View the standard equipment that comes on the base vehicle which can include interior, exterior, performance, security, and convenience features. There is a list of technical specifications that includes data on fuel economy, power output, weight, and the interior and exterior dimensions. Maybe the most important thing you should do before you buy a Hyundai Kona is to use the vehicle configurator to see how much each available option will affect the MSRP price. Take a few minutes to compare Hyundai Kona vehicles against the competition. Use the vehicle compare tool to see a couple of automobiles at the same time. Another great resource available to the shopper is crash test data from both the IIHS and the NHTSA; these ratings are very important as a vehicle with a good safety rating could one day save your life. A nice selection of pictures are available at the Autobytel website. There are many different shots of Hyundai Kona vehicles including examples of the interior, exterior, and engine. This will most often be the first place you should go to see the vehicle from different angles. When you finally do make a trip to the auto sales lot to buy a Hyundai Kona there will not be some aspect you will be unaware of. Be sure to peruse the criticism and analysis from current Hyundai Kona auto owners. This is a great way to see the pros and cons of each vehicle as told by regular consumers. Do not buy a new car at the full MSRP price. There are often many incentives offered by either the manufacturer or the dealer that could save you thousands of dollars. See rebates available from the factory, or special financing offers. Find Hyundai Kona automobiles currently being offered by local car dealers. Before you buy a Hyundai Model}, see multiple vehicle listings in your area.